Post-infection irritable bowel syndrome (PI-IBS) can occur following acute gastroenteritis (AGE). This study was designed to evaluate the incidence and risk factors of PI-IBS following AGE and to validate a PI-IBS risk score. This prospective study was performed between September 2014 and October 2016 on AGE patients by documenting their AGE severity and following up after 3 and 6 months to study the development of IBS (ROME III criteria). The risk score was calculated for all the subjects, and its discrimination ability was tested. Out of 136 hospitalized AGE patients, 35 developed PI-IBS after 6 months. 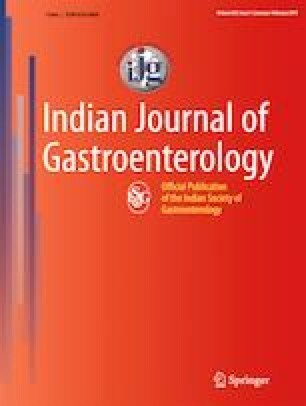 The factors associated with PI-IBS were younger age, longer duration of AGE, anxiety, depression, abdominal pain, bloody stool, vomiting, fever, family history of IBS, and positive stool culture (univariate analysis); however, on multivariate analysis, younger age (adjusted odds ratio [AOR] 0.5; p 0.03), prolonged duration of AGE (AOR 8.6; p 0.01), and abdominal cramps (AOR 2.1; p 0.02) were the independent factors influencing its occurrence. PI-IBS occurred even after infection with Vibrio cholerae. The PI-IBS risk score was significantly higher in patients who developed PI-IBS (72.4 ± 14.48 vs. 31.56 ± 20.4, p-value < 0.001); score > 50 had a sensitivity and specificity of 91.4% and 84.2%, respectively. One fourth of AGE patients developed PI-IBS after 6 months. Factors influencing its development were younger age, long duration of AGE, and abdominal pain. The PI-IBS risk score had good predictive accuracy in our population. Prasanta Kumar Parida: Collecting data; analysis of data; preparing the initial draft of the manuscript. Girish Kumar Pati: Preparing the initial draft of the manuscript. Debakanta Mishra: Analysis of data; preparing the initial draft of the manuscript; critical revision of the manuscript for intellectual content. Preetam Nath: Study concept and protocol design; analysis of data. Kaibalya Ranjan Dash: Collecting data; preparing the initial draft of the manuscript. Sambit Kumar Behera: Critical revision of the manuscript for intellectual content. Suryakanta Parida: Collecting data; preparing the initial draft of the manuscript. Chitta Ranjan Khatua: Analysis of data; preparing the initial draft of the manuscript. Amarendra Mahapatra: Stool culture and microbiological analysis. Hemant Kumar Khuntia: Stool culture and microbiological analysis. Prof. Shivaram Prasad Singh: Study concept and protocol design; study supervision. PKP, DM, GKP, PN, KRD, SKB, SP, CRK, SP, AM, HKK, and SPS declare that they have no conflict of interest. The authors declare that the study was performed in a manner conforming to the Helsinki declaration of 1975, as revised in 2000 and 2008 concerning human and animal rights, and the authors followed the policy concerning informed consent as shown in Springer.com.